Make an even bigger impression while continuing to enjoy the versatility and productivity of HP Premium Instant-dry Gloss Photo Paper. With the most recent improvements over the previous version, this paper achieves deeper blacks and more vivid colors on a noticeably whiter sheet. Images seem to pop right off the page. With instant-dry prints, laminate right away. Count on durable, long-lasting prints. And enjoy the versatility of great results with both Original HP dye- and pigment-based inks. Make an even bigger impression. 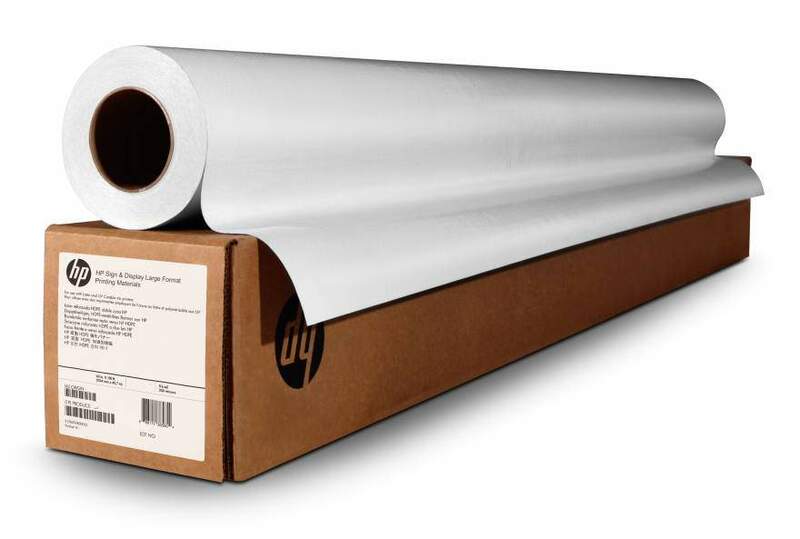 Improved HP Premium Instant-dry Gloss Photo Paper delivers unrivaled image quality for brilliant photos and high-impact display graphics - from posters and presentations to retail graphics.Save time, streamline your workflow, and increase your productivity. Prints dry instantly for immediate handling and lamination. And HP Premium Instant-dry Gloss Photo Paper delivers the easy, trouble-free printing you expect from HP.Count on long-lasting prints with this FSC®-certified paper. Get great results for indoor display graphics, whether you're printing with HP dye- or pigment-based inks. And get exceptional print permanence, in-window or away from direct sun.